Blink and you’ll miss this new Greek spot somewhere between Santa Clara University and Westfield Valley Fair. A Chipotle style set up featuring classic mediterranean food items in addition to a few of their own house specialties (the white sauce is awesome for garlic lovers), You have your pick of creating a wrap, a plate or a salad featuring any combination of meats, vegetables and other savory items. 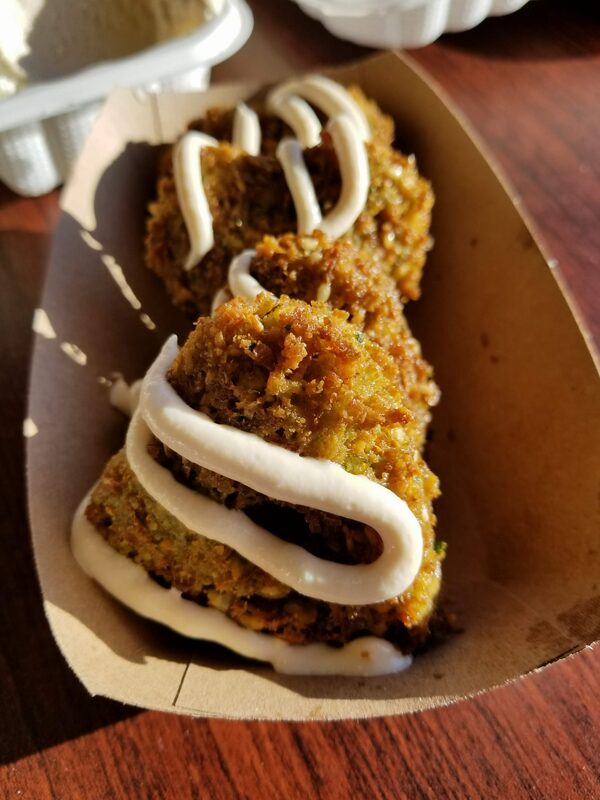 Pair your meal with some of the most flavorful falafel patty’s (pictured right) and a warm pita bread and you got a great meal. 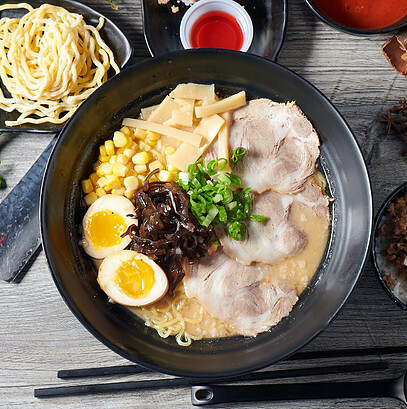 Owned by a good friend of mine, I was invited to try out the menu at Seiki Ramen’s newest location in Fremont. While I must admit that my knowledge and experience with ramen is probably not where it should be for a food critic right now, I did enjoy my bowl of Osaka Tonkatsu Ramen (pictured left). While my doctor might wince at my wanton slurping of the broth for many reasons, I loved the fatty and saltiness of the broth that bordered on creaminess and to be honest, that’s my favorite part of the experience. To end the meal, I was also offered a decadent slice of the popular Lady M Mille Crepe cakes, which are available to order as of this publication date. 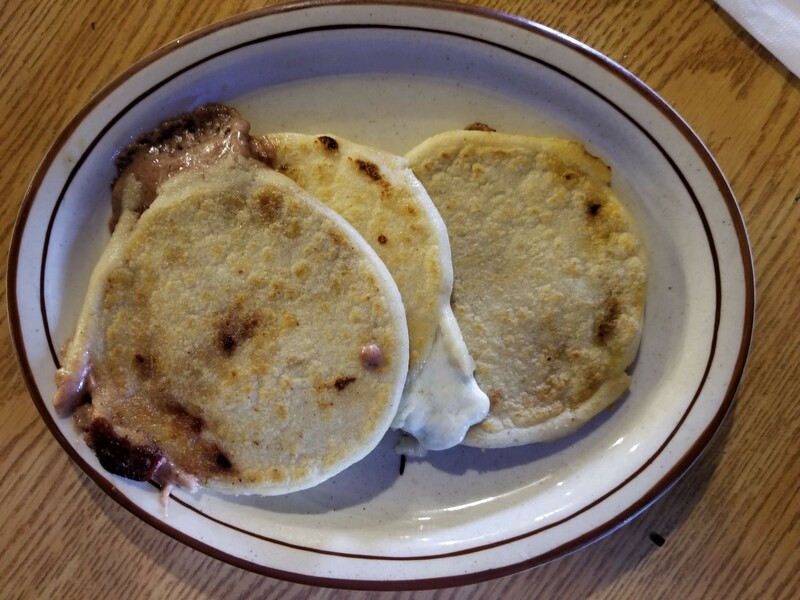 Near the Airport, in a building once occupied by Lili Maes house of Soul Food, this taqueria serves Latin American favorites, but touting itself as a Salvadorian place, it’s the Pupusa’s that steal the show. Delicious patty’s of fried dough filled with various fillings such as meat, beans and cheese, and only $3 bucks each, they’re worth the visit by themselves to get a few. I also gave the Bistec Encebollado a try and to be frank, it was a bit tough to chew on, but at a level I expected it to be given the cut of beef they were using .In the end, however, I kept on coming back to the pupusas for the fried, doughy goodness. *unless mentioned otherwise, all meals are paid for out of our own pockets. Trust me, you do not want to see how much I spend on food ><.